While September days can still feel like summer, the nights are beginning to cool, and many Grand Rapids residents will fire up their furnaces for the first time this season. With another rough winter in the forecast, everyone is going to need their furnace to be in peak shape before the bitter nights take hold in Michigan. What Does My Furnace Need? In the same way you might inspect a car after a period of rest, your furnace needs a checkup, too. Furnaces, like anything else that lives in a basement or closet, collect lots of dirt. Any component of your heating and cooling system – your filter, your fan, your blower – can collect dust and grime, which not only makes the system less efficient, but can cause bigger problems down the road. A full furnace inspection and tune-up will include replacing the air filter, cleaning each component of the system, and making sure that the motor is well-lubricated. In addition to these routine tasks, our technicians will check for structural issues and make you aware of any potential damage that could lead to further repairs. It’s important that these tasks get done before you turn on your furnace for the first time. 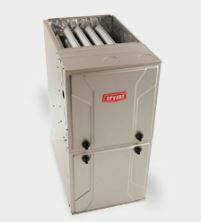 It is easiest to clean a furnace when it is cool, and turning on a furnace with dirt buildup can result in that dirt getting blown through your house – not the heating experience most of us have in mind. In addition, the buildup can make your heating system less efficient, which will have bigger consequences when it’s time to pay the bill. Maintenance appointments are an important part of our relationship with your furnace; it gives us a chance to avoid surprises down the road. If you find yourself in an emergency or need urgent repair, knowing your furnace ahead of time will help us fix it quickly. For those of you who have worked with us before at Engelsma Heating and Cooling, this is simply a matter of scheduling your yearly maintenance appointment. If you’ve never had a furnace maintenance appointment before, have no fear! With 30 years of experience, Engelsma Heating and Cooling knows what your furnace needs to heat your home safely and efficiently, which saves you time, worry, and money. Schedule an appointment with us now, and let us help you get ready for snow, skiing, and Santa. This entry was posted in Furnaces, HVAC and tagged furnace tune ups. Bookmark the permalink.